Novel set on Lanzarote. Haunted by demons past and present, geologist Ann Salter seeks sanctuary on the exotic island of Lanzarote. There she meets charismatic author Richard Parry and indigenous potter Domingo and together they explore the island. Too many times she'd been shut in this courtroom of a marriage, forced by her own sense of injustice to defend her position to an irascible judge. While her writing allowed for a certain outpouring of emotion, the narrative was about as therapeutic as a knife twisting in her guts…May be she needed to change the characters' names, make them less like their real life counterparts. 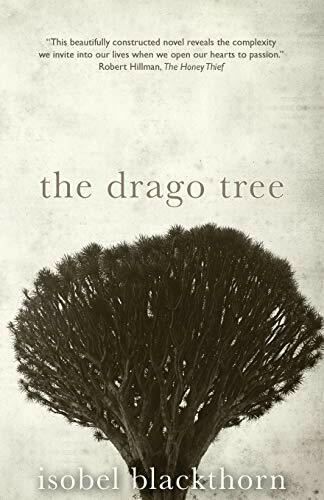 This is a thematic release: "The Drago Tree" has been released in the arms of a tree. The book is waiting to be found in this tree in the forest just behind the Mennorode tennis court. I hope that you enjoyed finding a traveling book. It would be wonderful if you were to leave a journal entry here for iiwi and me (and subsequent finders) to know that the book has been found and to track where it traveled. You may write a journal entry here, and this can be done anonymously. If you would also like to track the book on its journey through the world, however, you may become a member of Bookcrossing (for free, no spam) and choose your own screen name. Happy reading and /or releasing!